What a haul! £12 the lot! I particularly like the little red and White sewing box. Very 50’s. It’s coming with me to knitting tonight. 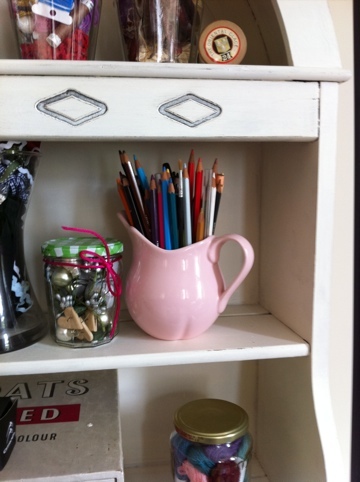 The pink jug was 50p! It’s nestling on my sewing dresser now, holding my pencils as you can see. 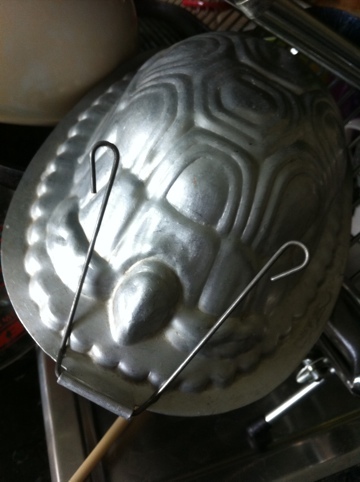 The tortoise cake tin is for my sister. She loves tortoises. 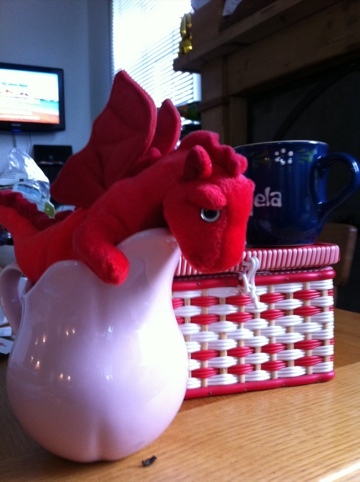 The welsh dragon is for a friend’s welsh caravan. Apt. 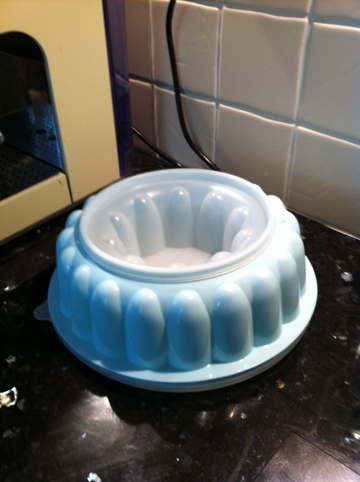 And the jelly mold is Tupperware and a beautiful duck egg blue. What else? 3 vintage Clothkits kits for boys trousers. Yippee! Oh yes, I also got some children’s books including a first edition puffin Stig of the Dump and some hilaire belloc verse. Well, I’m afraid I couldn’t resist. Clearly. It was a freakishly good day I admit. I left a load of other stuff cos it was getting silly. Going back to work is hard. She’ll get there but I swear it’s harder than the 1st. Sleep seems to be the currency du jour doesn’t it? !